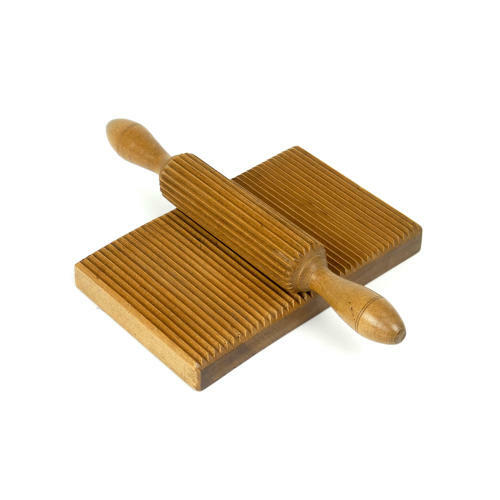 A nineteenth century, wooden crimping roller and block. This is a type of crimping iron. It was made for putting the small pleats into detachable collars and cuffs. The fabric was washed and starched and then put across the block and the roller was pushed across to form the tiny pleats. These items are quite difficult to find as, so often, the two sections were not kept together and it is important that the ridges in the block are a perfect match in size to the ridges in the roller. This example is carved in beechwood and it dates from c.1880. Both parts are in excellent condition.